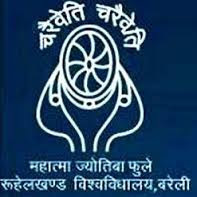 Mahatma Jyotiba Phule Rohilkhand University - MJPRU published an official notification for Recruitment of Teaching and Non Teaching posts for 39 posts including Professor & Librarian. Eligible candidates can apply for this recruitment. You can view more details about this recruitment including No. of posts, name of post, Educational qualification, Age limit, Selection process, How to apply etc... You can also view official notification and other important facts about this recruitment e.g. Important links and Important dates. Educational qualification: Applied & Regional Economics, Ancient History & Culture, MBA, Plant Science, Animal Science, Law, B.Ed/M.Ed and Central Library. Address: The Registrar, Mahatma Jyotiba Phule Rohilkhand University, Bareilly (UP) - 243006".